Property Management, but not as you know it. 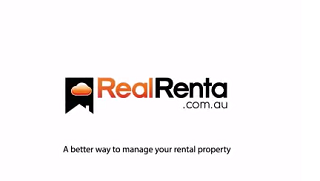 RealRenta specialises in Cloud Based Property Management Software. Please enter your properties weekly rent and the % you pay your property manager, to find out how much you can SAVE. You'll save per Year, approx. ? This saving is a min amount. You can save more by using all the features RealRenta’s online rental property management software has. The founders of RealRenta, are investment property owners who have done both self management and used full property management services. They were fed up with the fees and lack of services and technology provided by property managers and this frustration led to development of RealRenta. Since our initial concept of a simple rental payment system, the platform has grown into the best property management platform, providing a complete rental solution covering all of Australia. No one knows or cares about your property better than you. Why would you let one of the biggest investments in your life be managed by strangers? Why would you pay high property management fee’s? Because there has never been a property management solution released to the market like RealRenta. RealRenta’s mission is to provide cost effective online rental property management software, exclusively for residential and commercial investment property owners looking to save money and maximise their profits. The RealRenta property management software eliminates unnecessary practices and automates tasks. Investors can now cut property management fees using RealRenta’s cloud based property management software. Advertise your property for prospective tenants to search and apply and for you to handle those applications. Issue a lease and set up RealRenta to allow receipt and tracking of your rental payments. Reduce your admin time; tenants have their own portal with their rental ledger and all documents they need. Tenants can directly put in maintenance requests, which you can track and manage online. Rental payment system, rent tracking, self-populating rental invoices/receipts and tenant ledger/rental ledger, automatic arrears process, maintenance system, messaging system and tenant’s portal. Just to list a few. You also get a Personal RealRenta Guide to help you with anything you may need to do with your investment property management needs. Notification of inspections and reminders and notices, including breach notices. RealRenta ensures compliance within established notice time frames, with a complete electronic paper trail, saving your time and money. Tenants can pay rent to you via automatic direct debit, authorised direct debit and BPay, making it easy for them and more reliable for you. 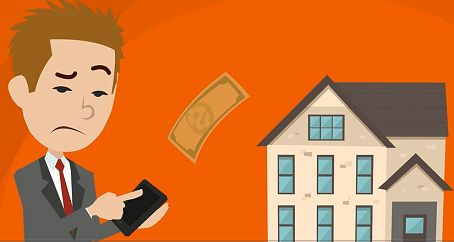 RealRenta makes payments convenient and easy for your tenants and you receive the money quickly and directly, usually the next day. RealRenta tracks the rent and will populate the rental ledger / tenant ledger, generate tenant invoices and receipts. If a rental payment is missed RealRenta will alert you and your tenants. When necessary, automatically create a breach notice and begin a collection process, all without you having to talk to the tenant or search for the relevant documents. That’s right!! Advertise your rental property professionally and easy. Receive tenant applications direct to your device. Perform detailed tenant checks without leaving your rental management software. What property managers don't want you to know. © 2016 RealRenta. All Rights Reserved.